One of the great things about genealogy is that it doesn’t have to be a hobby for one. It is easy to work alone, but there are plenty of advantages to working with one or two others. And as technology continues to progress, so do the tools available for online collaboration. It’s now easier than ever for multiple authors to work together on both research and writing projects. Not to mention that online resources are also making it easier for you to find collaborators. 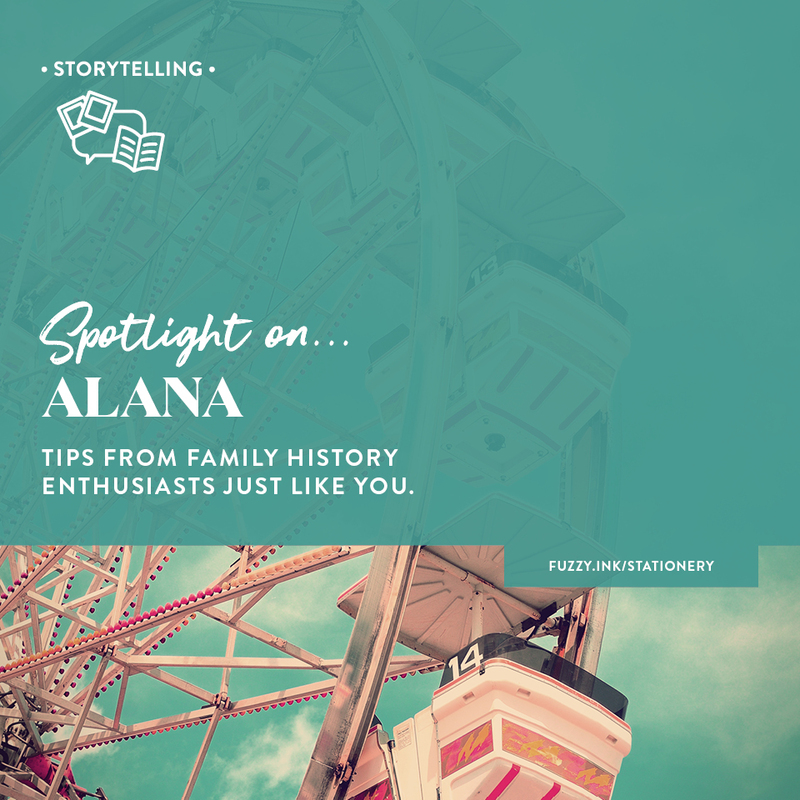 Forums, Facebook Groups and online family trees are just a few of the ways to find people researching the same family lines. No more boring the pants off your partner who isn’t curious about Aunt Gertrude’s mysterious disappearance from the census. You’ll get so much more from discussing the theories and facts with distant (and not so distant) cousins. Fresh perspectives also help with research as you get to see the information from different angles. Whether you’ve written a book before or not, it’s possible to make it work with multiple authors. You don’t all need the same writing style, just agreement on the story that you are telling. It’s always easiest to start writing when you know your topic well. Break up the chapters by ancestor and then get each author to adopt the ancestors/chapters that they know the best. Use an online tool like Zoom or Skype to record the group talking about the stories. 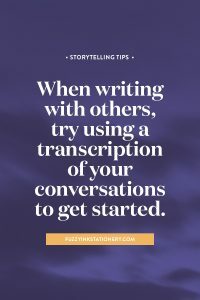 Then have the recording transcribed, so it’s ready for you to start editing your family history. Google Docs is a fantastic tool for that final process because all authors can edit, either individually or even at the same time. The bonus of this approach is that you’ll have a recording of the ‘behind-the-scenes’ for your descendants. No doubt that this will be the trickiest approach for multiple authors who haven’t written together before. Start by creating a solid outline in bullet point form, then expand those into paragraphs. Another reason that Google Docs is a great tool because you can also track changes by switching to ‘suggesting mode’. To help the project go as smoothly as possible, get agreement on the outcome before you begin. 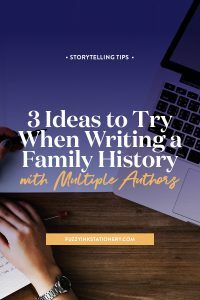 Check out the article 5 planning tips for writing your family history to get the conversation started. And don’t forget to download the writing, chapter and timeframe planners to track your goals and progress. For more complex projects consider an online planning tool like Asana. Just like peanut butter and apple, Google Docs and multiple authors is a fantastic combination. Because it’s online, it’s easy to share with everyone or only a select few. And you can offer different levels of access to the document. That means if you want to seek more feedback, then make the document ‘Anyone who has the link can comment. And invite your fellow collaborators to join with edit access. Do you need more security? The document owner can prevent the editors from changing the access or inviting others to join. Plus, you can make the file so that the non-editors cannot download, print or make a copy of the document. 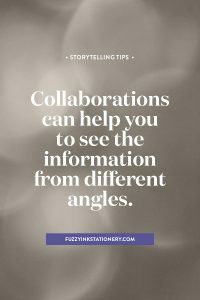 If you aren’t ready to commit to a 100+ page collaboration, start out with a smaller project. 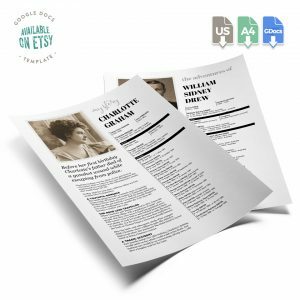 If you don’t want to start with a blank document, then consider something like the Ancestor Snapshot template for Google Docs. 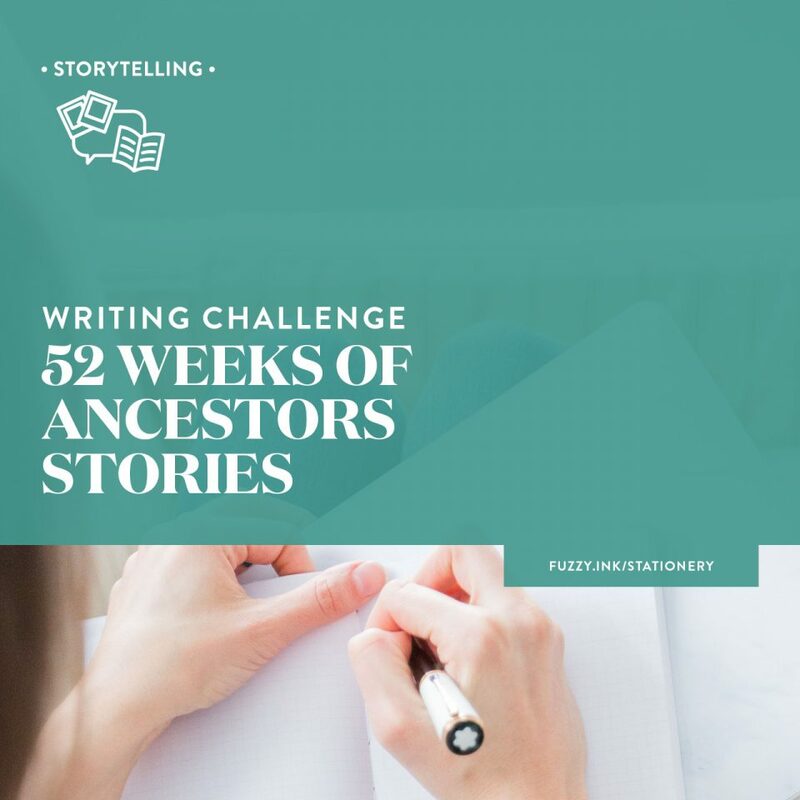 The structure is already in place so you can concentrate on writing the biography or ancestor story. And it’s already set up in Google Docs, so when you open the file it’s ready to share. Are you ready to embark on a writing project with multiple authors? Or would you consider it in the future? 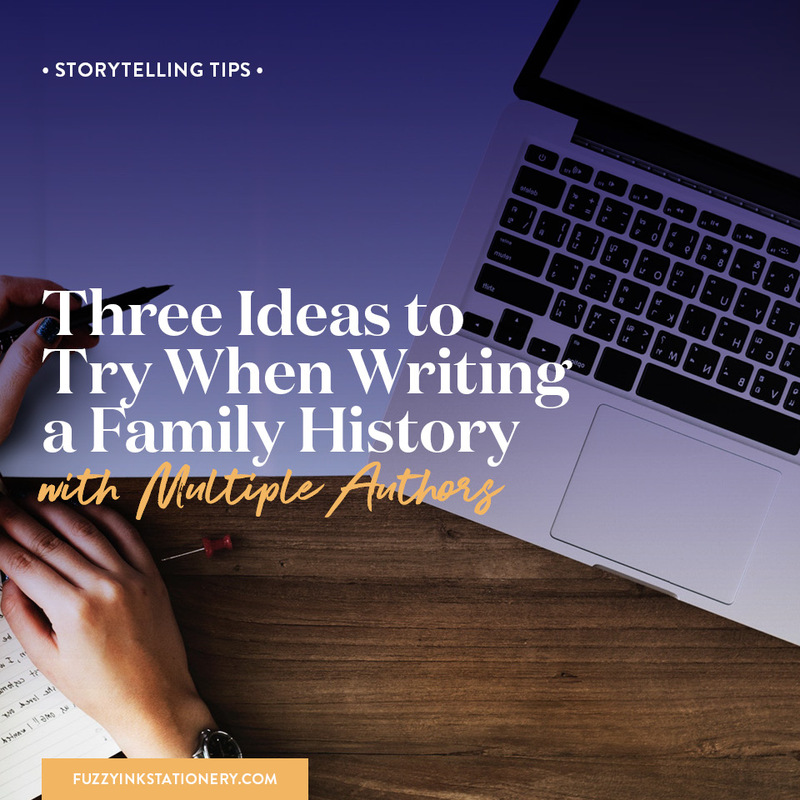 I’d love to hear about why you wouldn’t want to collaborate with others to write your family history book. Tell me in the comments below or send an email to me at hello@fuzzyinkstationery.com. 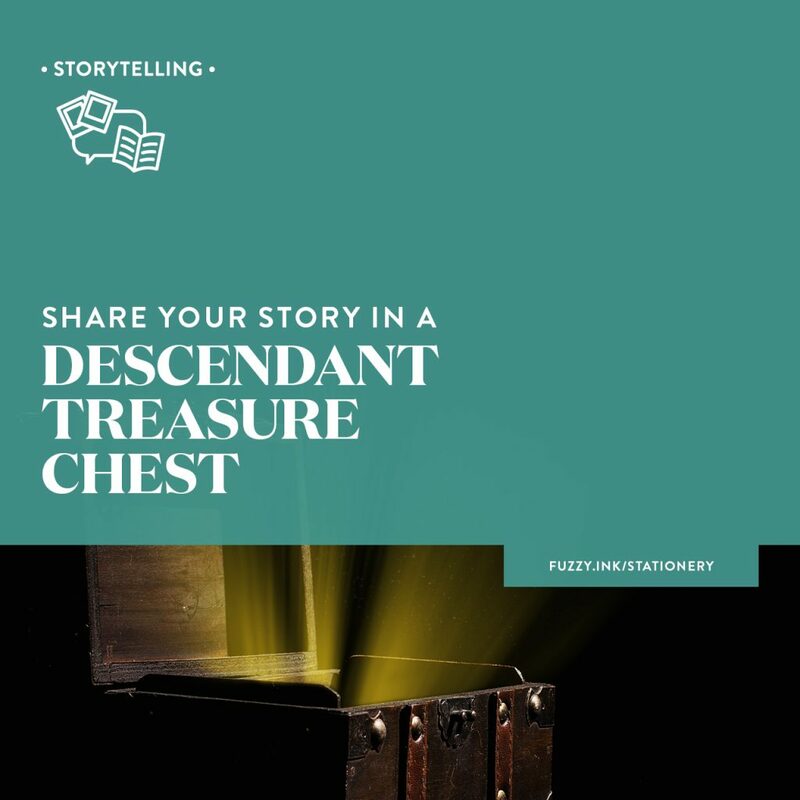 How Will You Tell Their Stories? 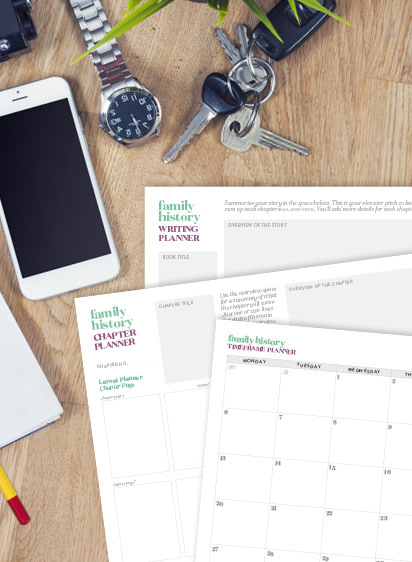 ​Three FREE planners to help you get organised before you start writing your family history. ​Download ​one or all ​​print-ready PDFs of the Writing, Chapter ​and Timeframe Planner​.